The Office Next fair in Moscow, one of the newest on the International scene, defines its personality at the fourth edition. 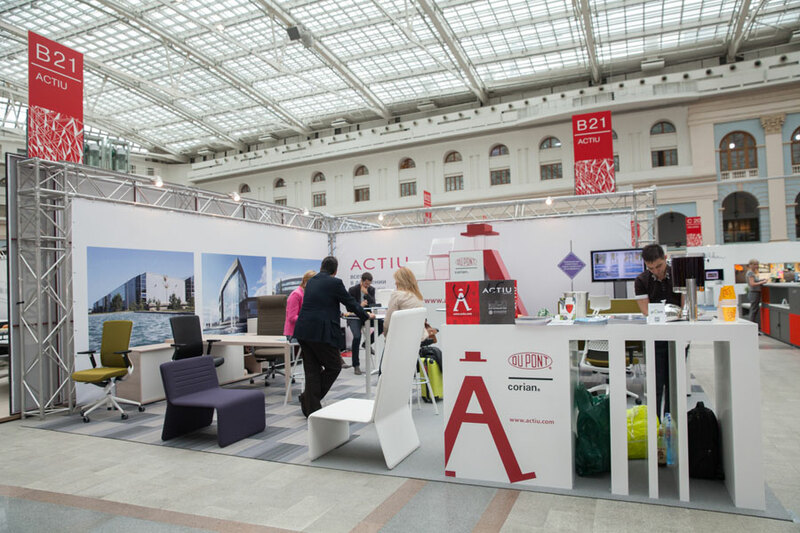 The quality and prestigious nature of both the exhibiting companies, the products shown as well as the visitors who came to get to know the new trends, are the defining characteristics of this professional event to equip workplaces, which took place in Moscow. The Russian market is considered to be one of the most important worldwide. 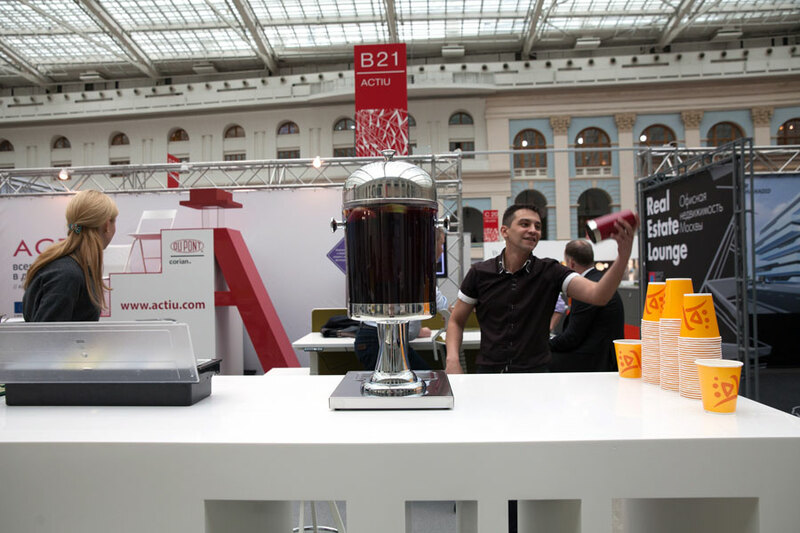 With an annual growth of 39%, this country is ranked third as having the most millionaires worldwide and Moscow, the city with the highest number of them, according to the Forbes magazine. 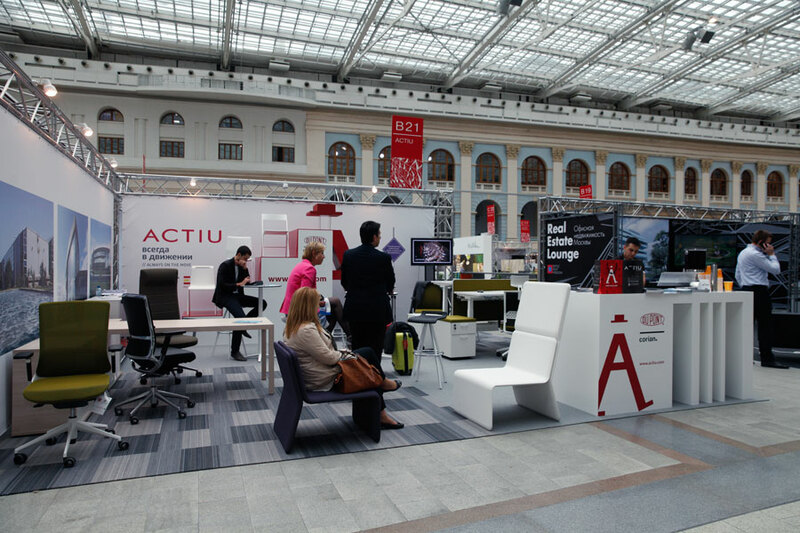 The Russian customer, in general, seeks luxurious and exclusive products with a high quality European avant-garde design. This year, Office Next has been rolled out in an impressive building Gostiny Dvoy, located next to the Red Square. 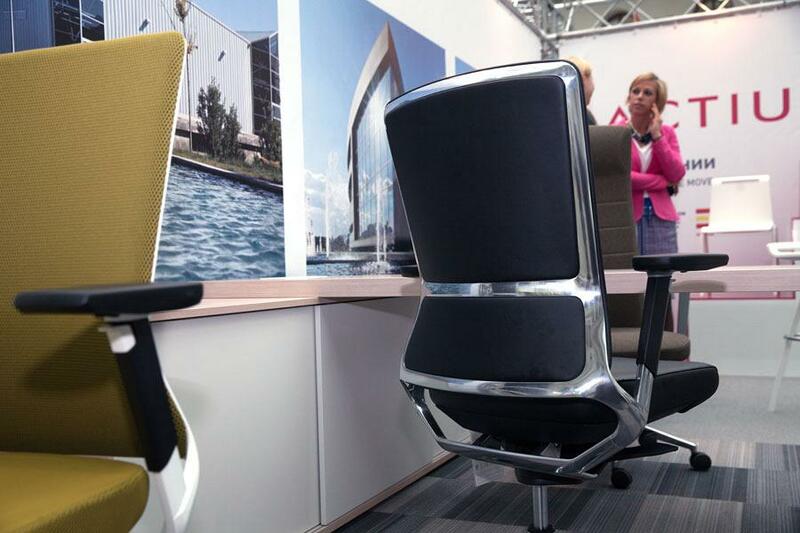 A splendid multi-functional area in which the leading office furniture manufacturing companies have gathered. 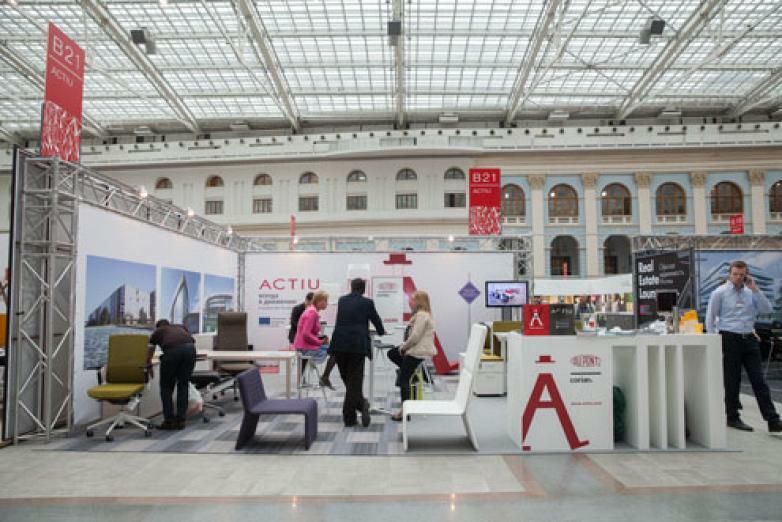 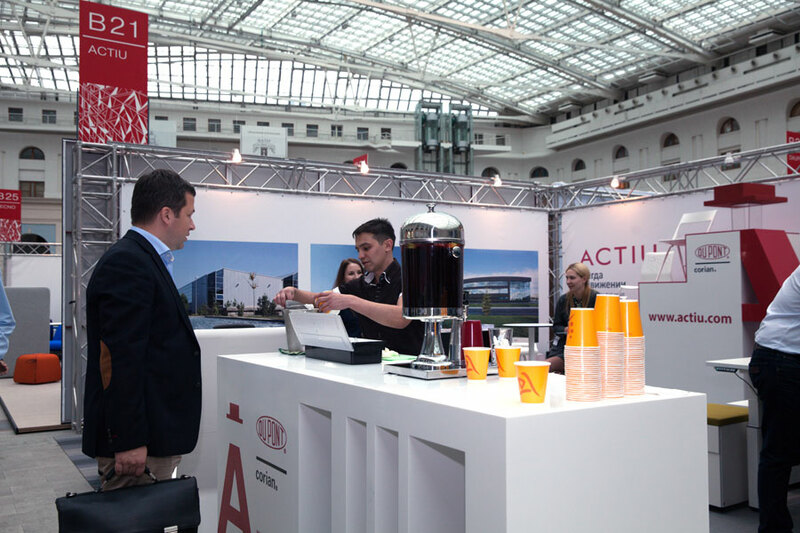 In this framework, Actiu & Statio Project (the leading distributor of the company in Moscow) had a stand designed in red and white, the corporate colours of the company, combined with hints of trendy shades of pistachio and purple. 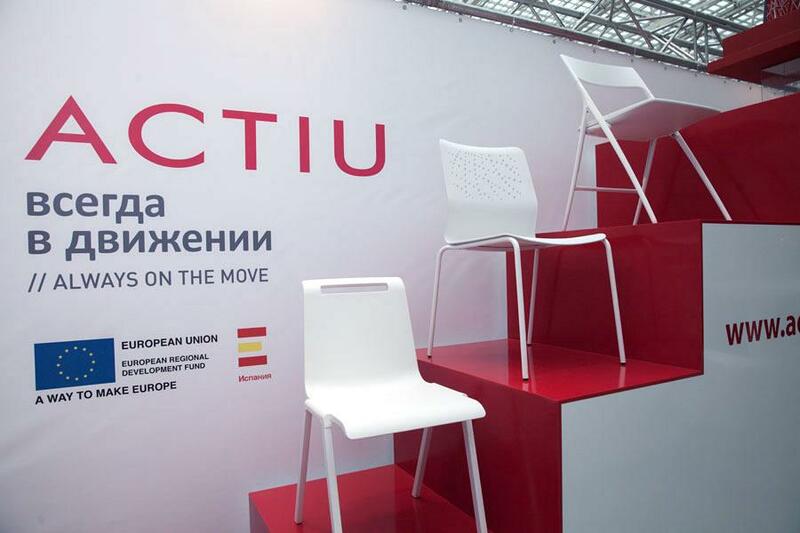 The resulting space was a fresh and elegant atmosphere in which the latest developments were shown and the brand was presented to the Russian market strengthening the position within the sector. 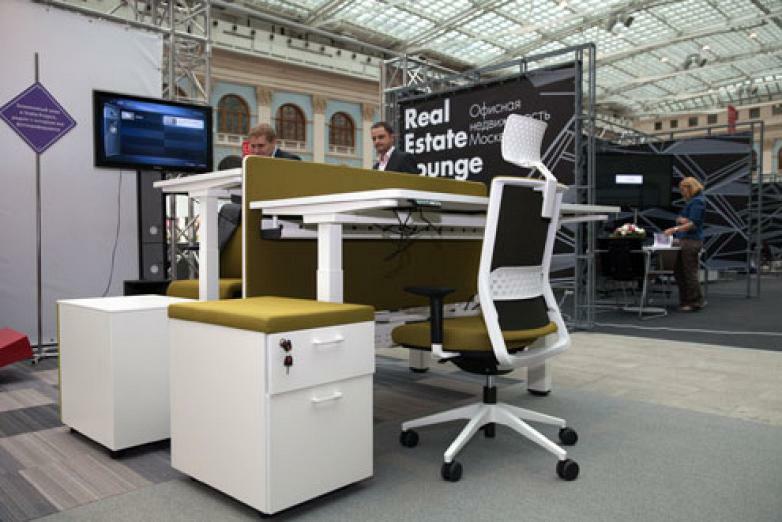 Mobility, the desk which enables you to vary the position while working (standing or seated) thanks to its elevation system (electronic or mechanical) was one of the most admired products, not only for its sleek design but because it is one of the most competitive elevating desks on the market compared to other products in the same range. The new Actiu managerial chair, Cron obtained the approval of all visitors for its comfort, presence and advanced technology applied to the product. Together with Cron, the Prisma desk program represents pure elegance. 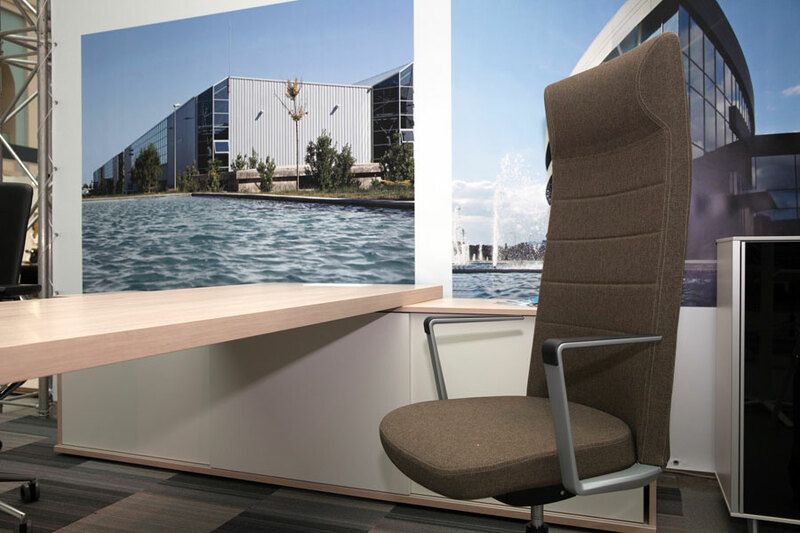 Straight lines, Nordic style, manufactured entirely in steel, through a developed and patented system exclusive for Actiu, the desk recreates natural wood. 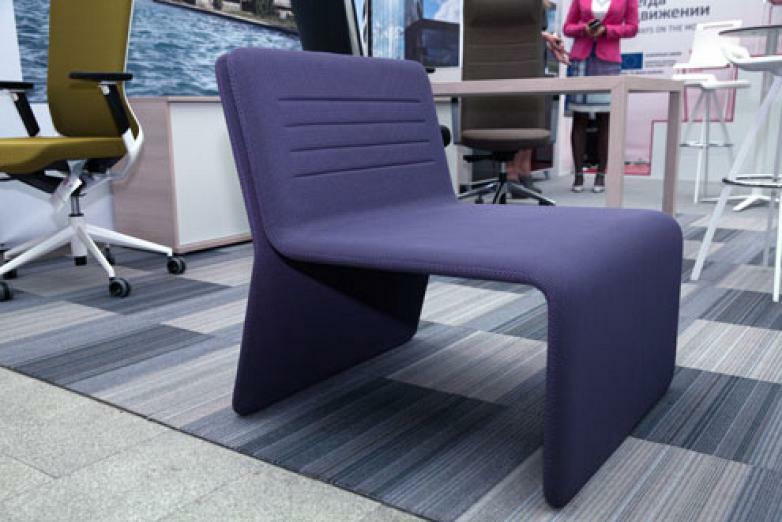 Furthermore, it simulates a continuous finish, as if it was made of one piece, thanks to its prismatic junction between its feet and top. 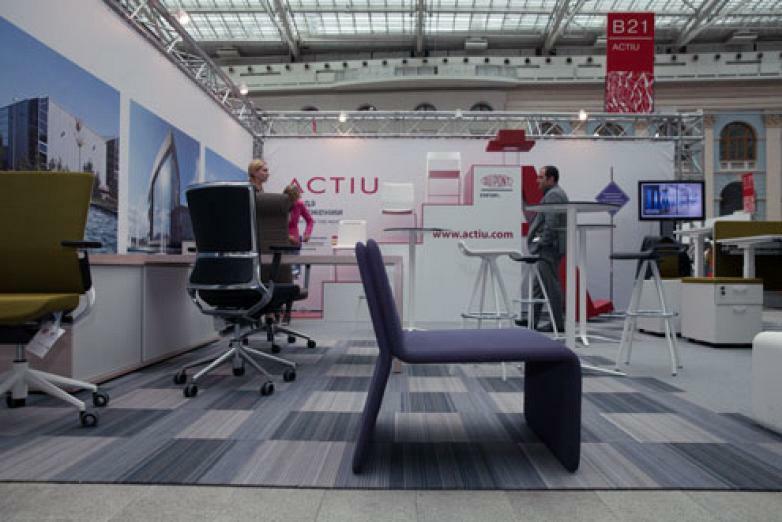 With Shey, Actiu introduces a new program designed to provide creative and inspirational solutions for spaces of Soft Seating. 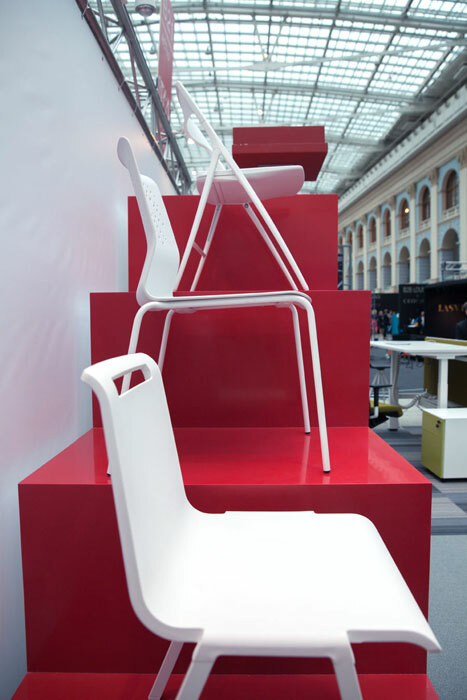 It is a trend, more consolidated each day, which seeks to create within workspaces, light, fresh and comfortable atmospheres which encourage relationships amongst the workers. 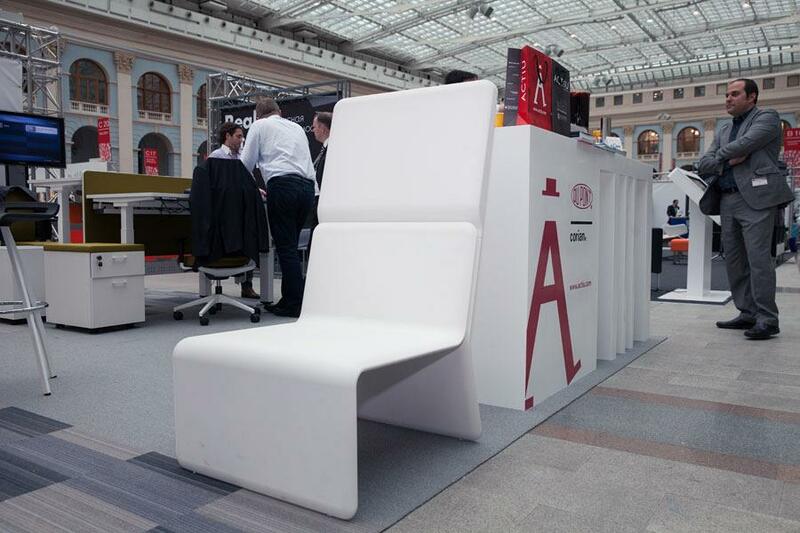 Other products which were also well received in Moscow were the Stay, TNK 500, Mit, Urban and Plek chairs. 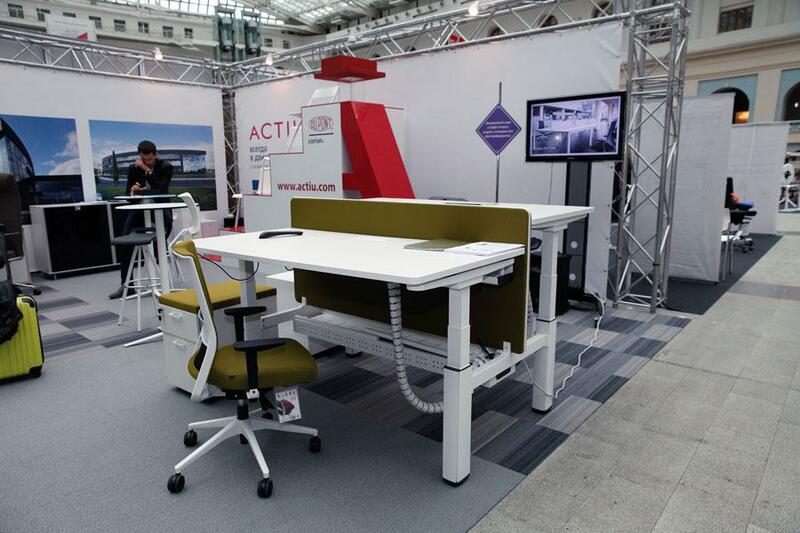 The collective Cross desk completed the stand, present in height which facilitates support and impromptu meetings. 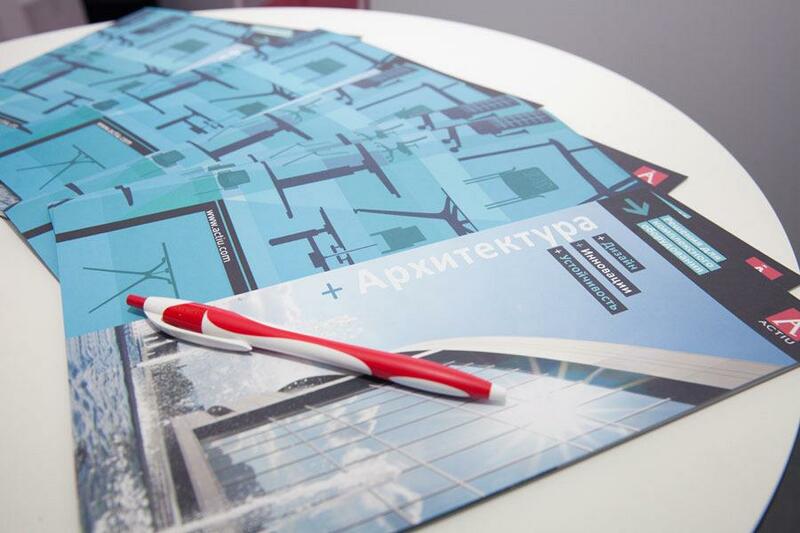 All the visitors who passed by the stand received a complete Actiu Corporate guide in Russian, a fact that was valued and was respectful to the Russian speaking customers.